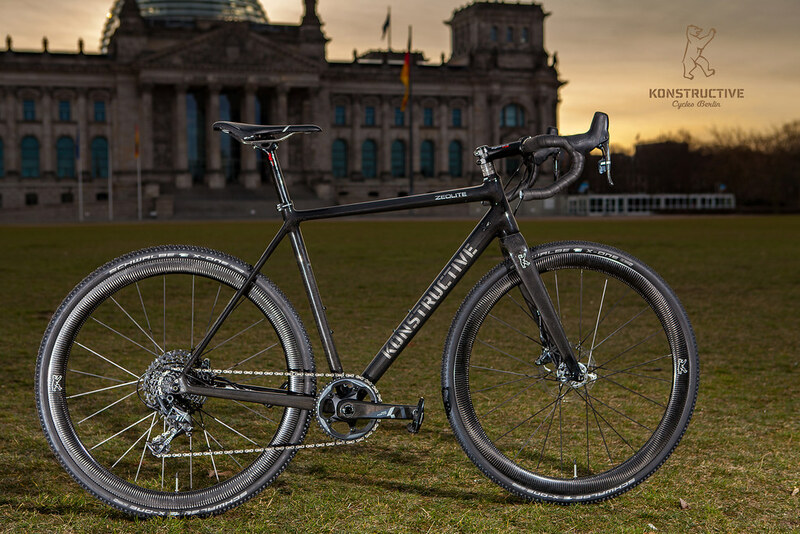 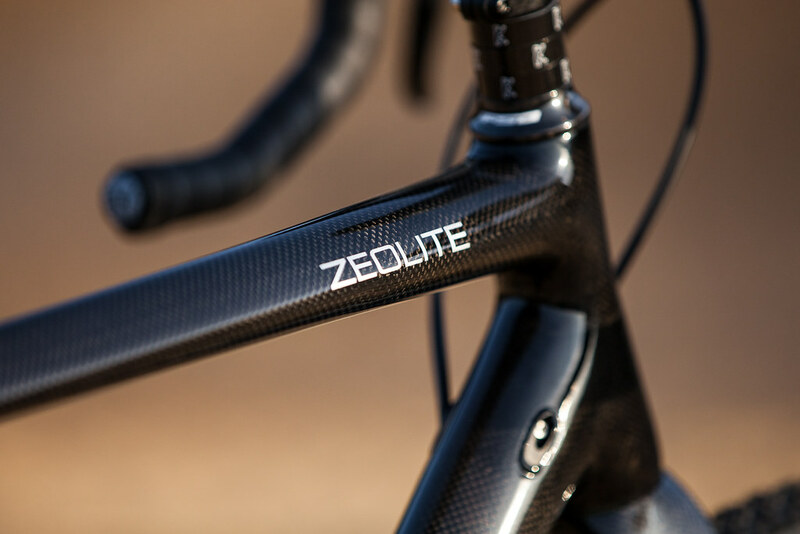 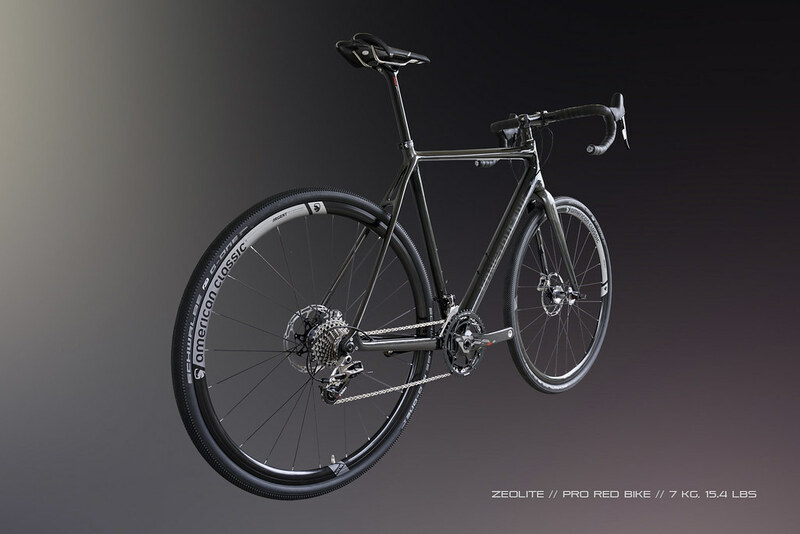 The ZEOLITE captivates through its performance oriented geometry with very agile ride characteristics, through its classic looks and through the modern component specs with the most advanced drivetrains and hydraulic disc brakes on the market. 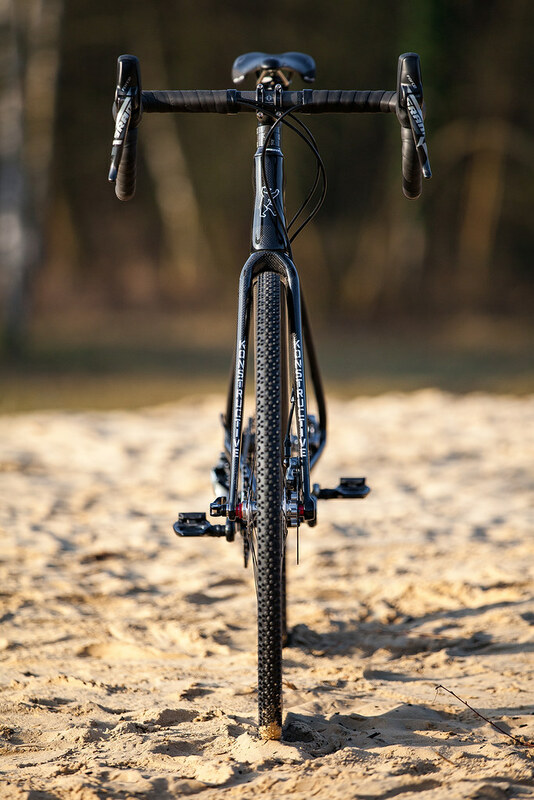 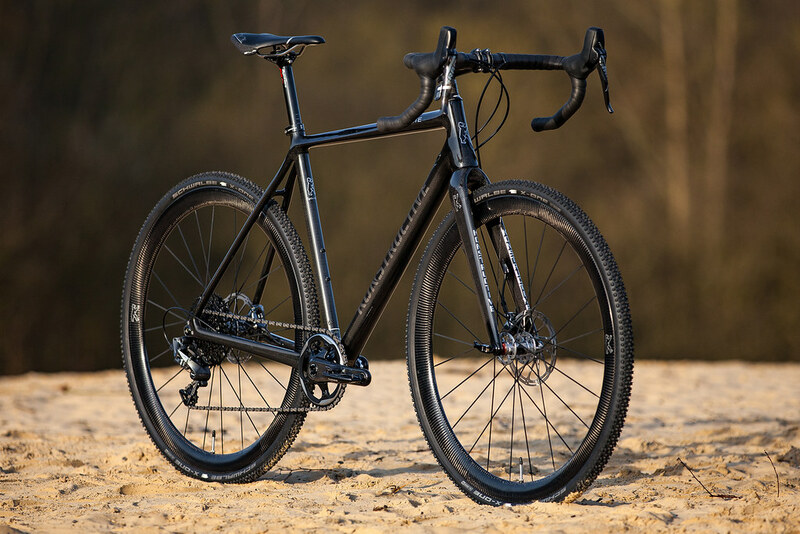 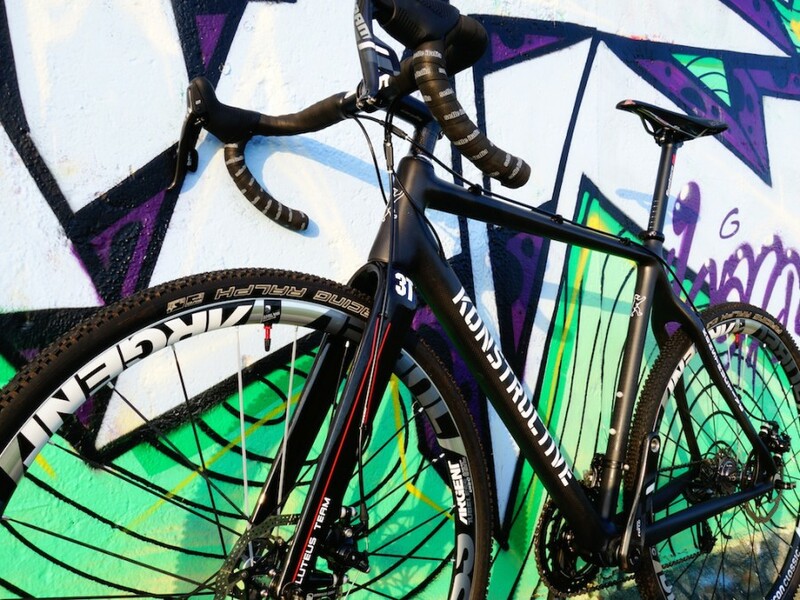 As a result the ZEOLITE offers exceptional off-road mobility and steering precision, which make it into a Cyclo-Cross bike at the top of its class. 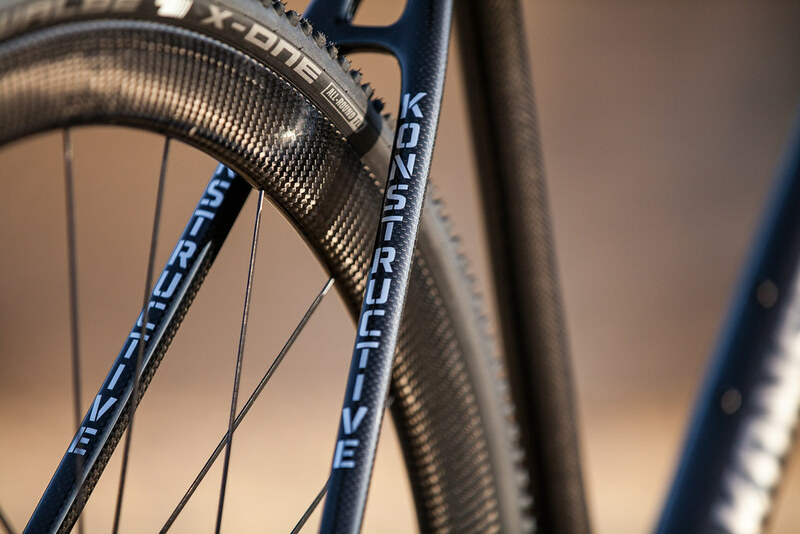 The frame geometry has been optimized for neutral handling and superb ride characteristics with great cornering ability and acceleration. 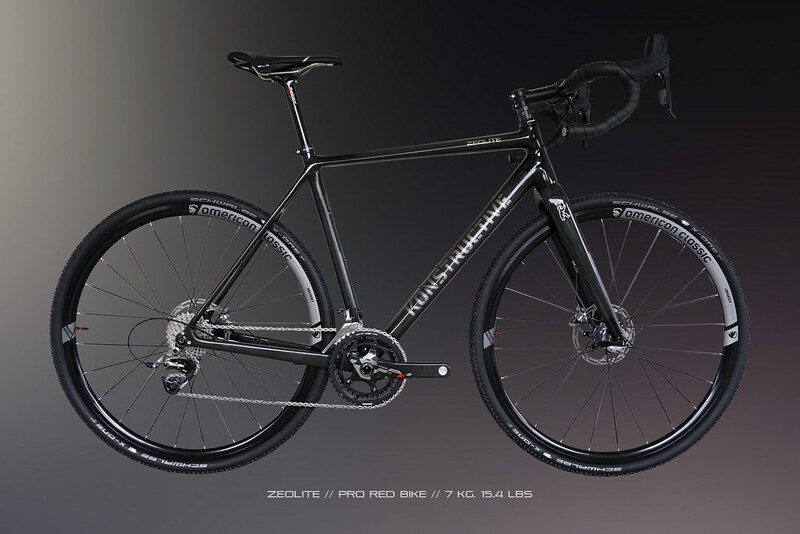 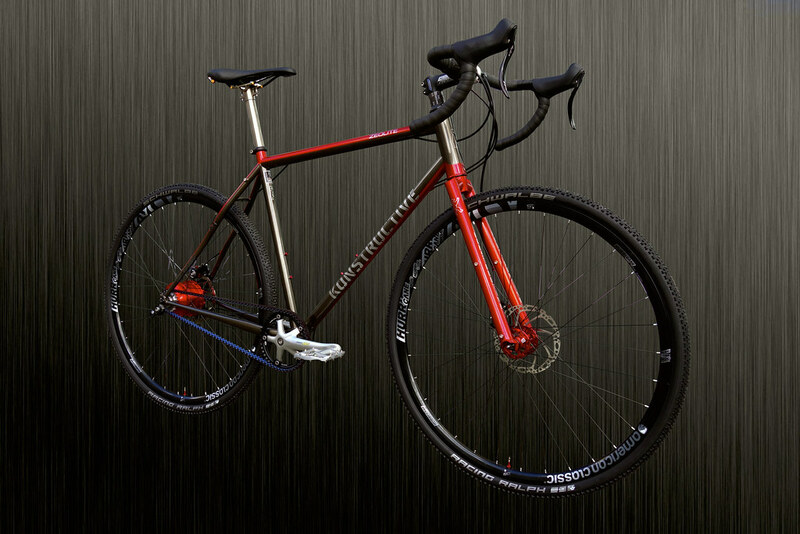 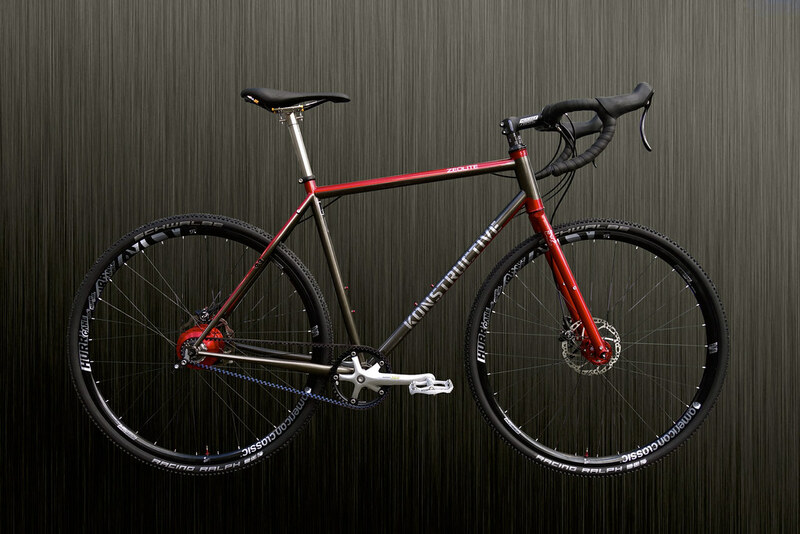 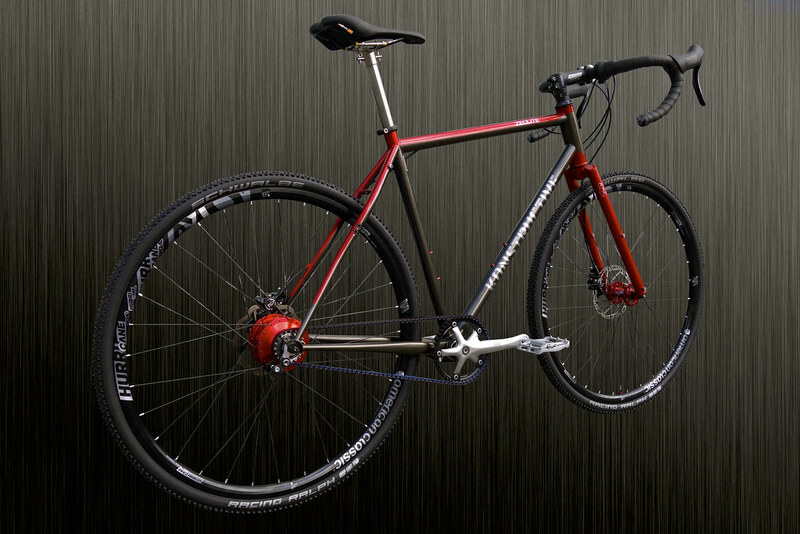 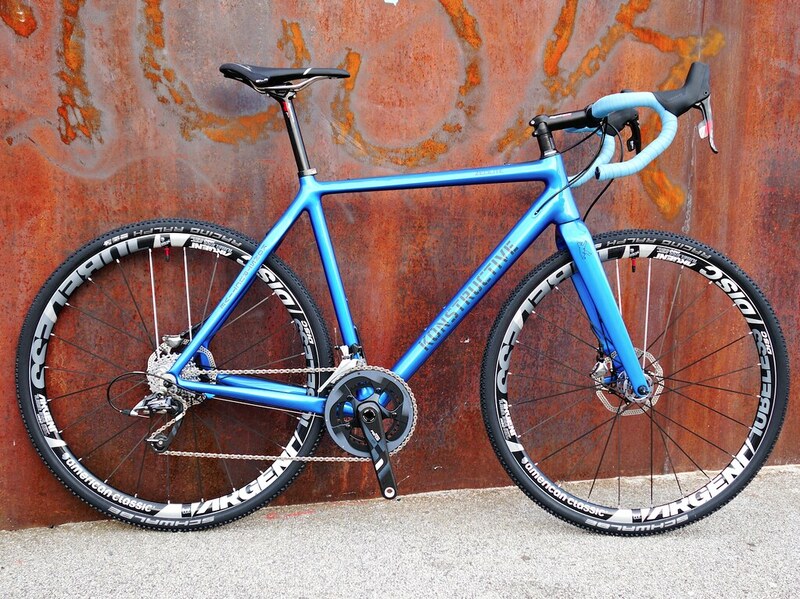 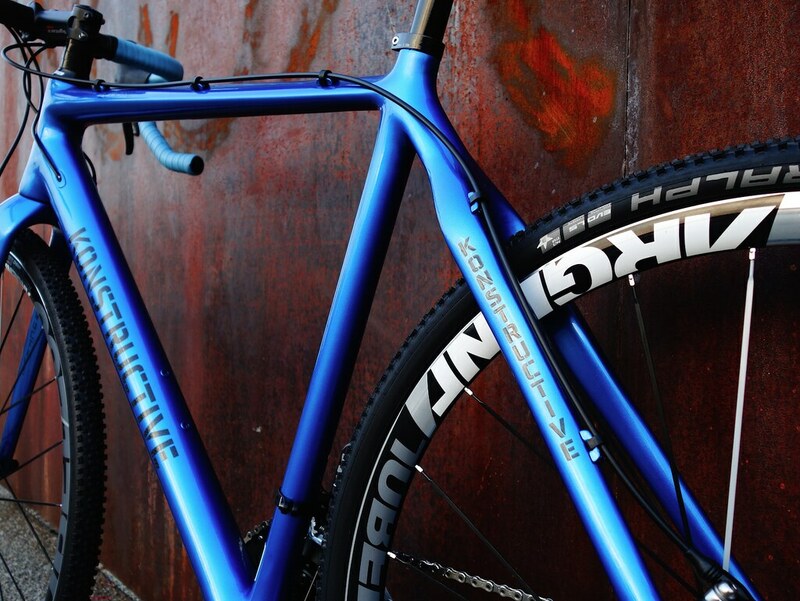 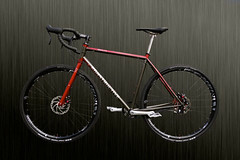 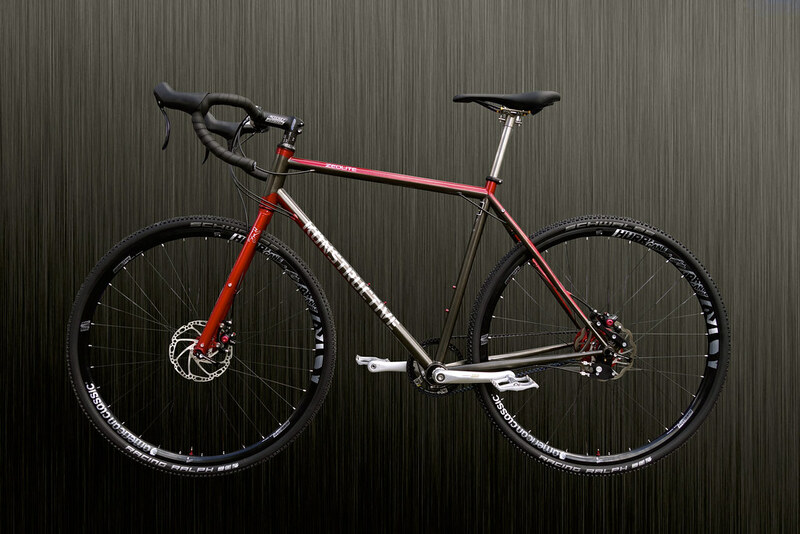 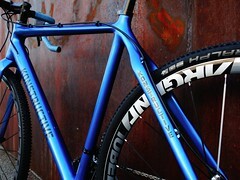 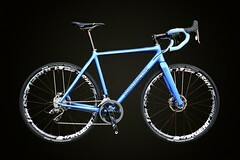 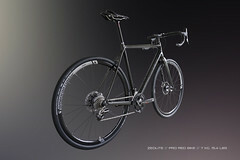 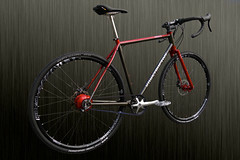 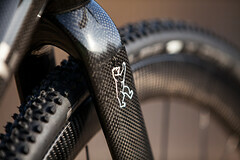 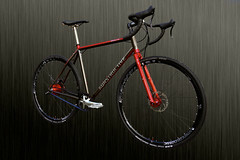 You can use the ZEOLITE as pure gravel bike or take it on Cyclocross race courses. 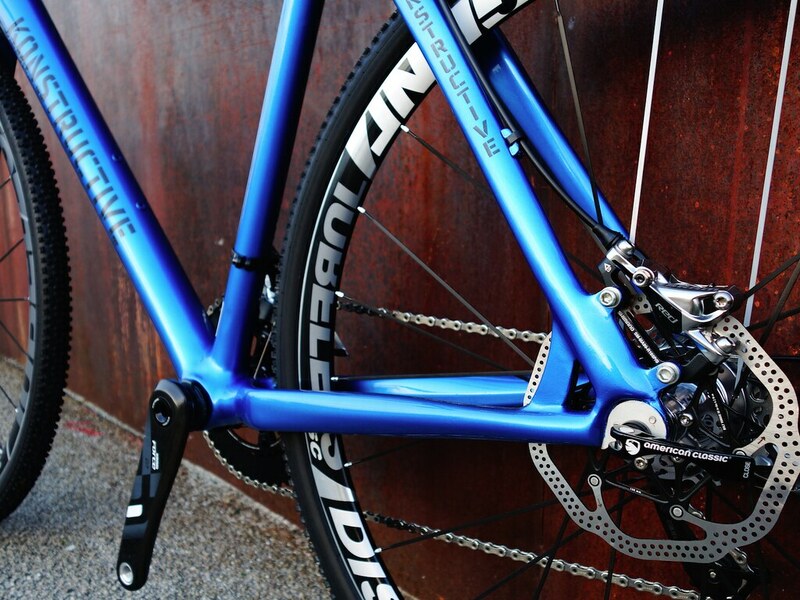 On race day, you will appreciate the decisive advantage over your competition. 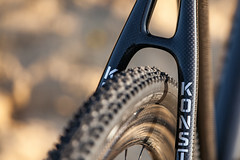 The chassis of the Zeolite – consisting of the down tube, the seat tube and the chain stays – is optimized for maximum power transfer without compromising the ride quality. 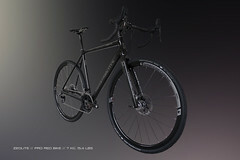 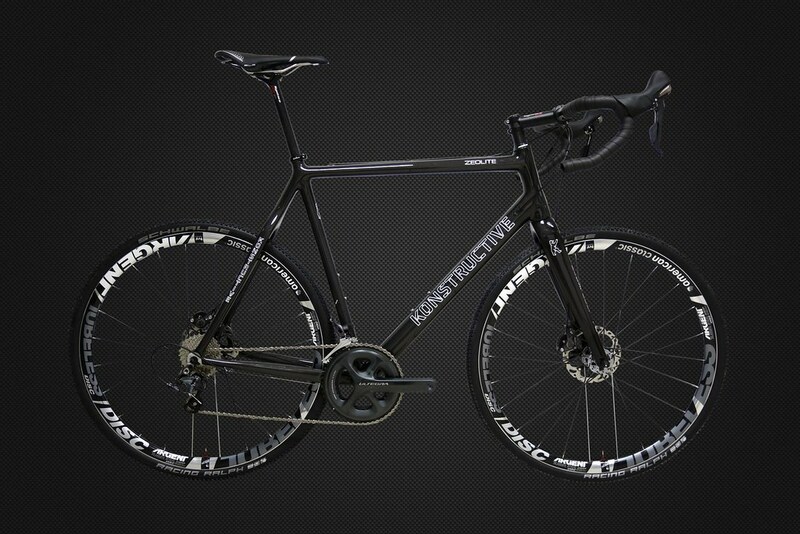 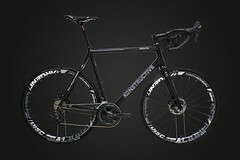 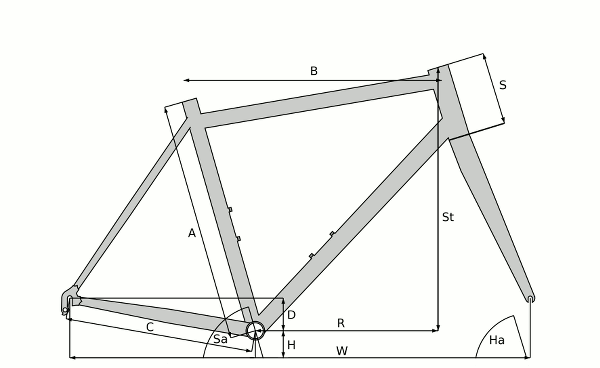 In this design we use our load specific frame technologies for optimal stiffness and low over-all weight. 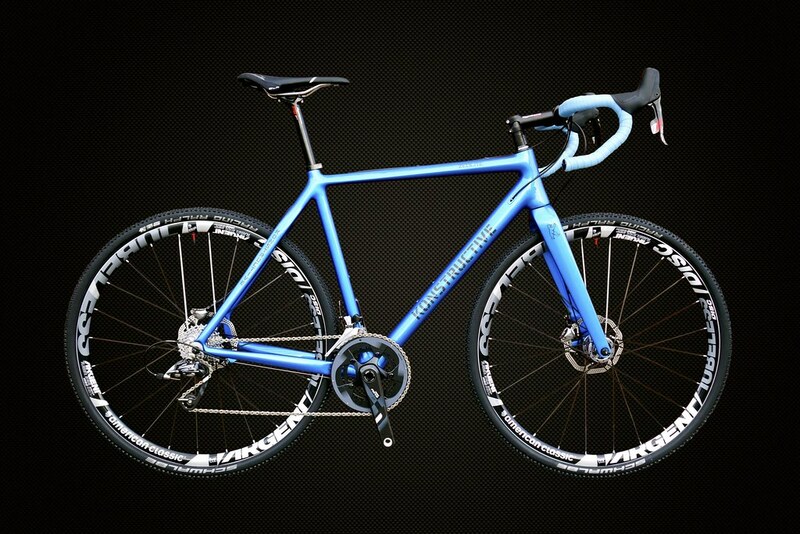 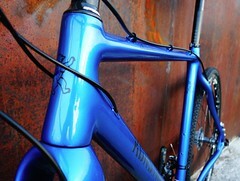 Thus the Zeolite frame offers the opportunity to be fast on the road and off the road as well: simply Cyclo-Cross. ZEOLITE frames can be individually fitted and constructed to your body measures. The Full Custom Option also entails the fitting of the bike to your individual needs when it comes to ride characteristics. 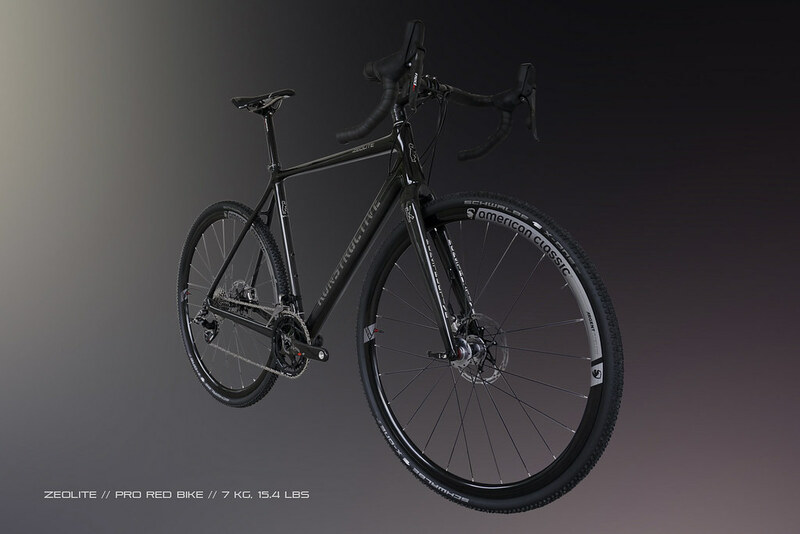  From a completely race oriented geometry through a comfort oriented geometry all the way to a travel bike geometry for extremely long rides our portfolio offers optimization potentials which are based on bio-mechanic principles. 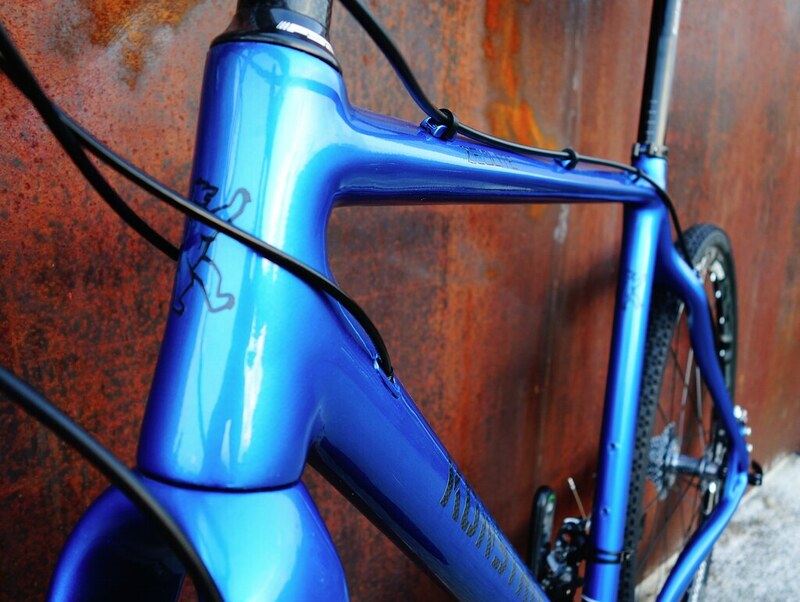 If you would like to ride single-speed or need special mounts for fenders and racks we can offer that or other special frame features any time.